Carefree Undercoat by Johnson Diversey is a specially formulated emulsion sealer that provides the ideal base on old porous floors for the application of Carefree Eternum. 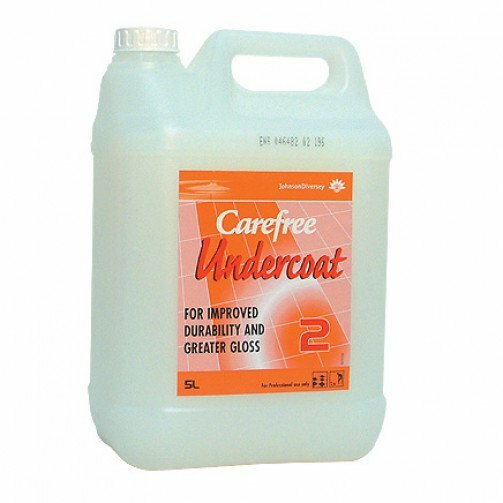 Carefree Undercoat will extend both the life of the floor and the polish. Apply thin coats using a mop or polish applicator. Q. Does this product require a top coat emulsion polish? A. Yes, it does. This product is an undercoat to help protect the floor before application of a top coat.